Big Hero 6 tells the story of a young robotics genius, Hiro Hamada, who, along with his robot companion Baymax, turns a group of techy college students into a team of superheroes. The mission? To take down a masked man who stole Hiro’s invention for nefarious purposes. The story is loosely based on the Marvel comic book series of the same name, however it feels completely new and original, especially after sitting through a slew of trailers for factory-made remakes and sequels. With an emphasis on innovation, education, and friendship, this film wants to treat its audience as intelligent consumers. Of course, once you throw in an adorable robot and a little slapstick, there’s something for everyone. The film takes place in San Fransokyo, an amalgam of San Francisco and Tokyo with an East meets West aesthetic and a futuristic vibe. The city is a lively, bustling locale that bursts with color, and although there are no flying cars, it’s advanced enough that its citizens barely notice a Stay Puft robot ambling aimlessly through its streets. Technology is recognizable but stylized with Japanese culture, most notably in a beautiful scene of Baymax and Hiro enjoying the sunset from atop a wind turbine disguised as a traditional carp windsock. This funky location seems the perfect setting for the San Fransokyo Institute of Technology, where the students’ innovations are as unconventional as the city itself. In an attempt to guide Hiro away from the illegal but lucrative prospect of robot street fighting, his older brother Tadashi takes him to this “nerd school” for an intervention. This is a defining scene where we meet the rest of the cast individually in mini interactions that are a blend of personality and introductory science. Each character is completely developed and immediately likable, with the smarts to keep up with the Hamada brothers (with the exception of Fred who acts as the group’s cheerleader and comic book referencer). Hiro is already sold on higher education when Tadashi introduces him to his great invention, a healthcare companion robot named Baymax. 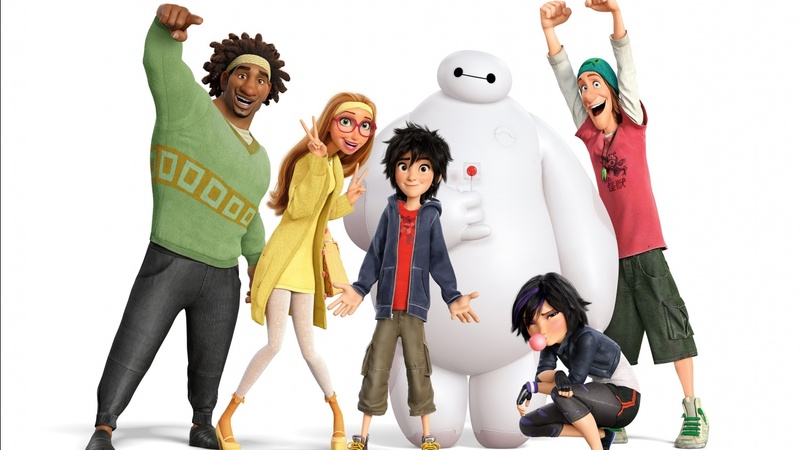 The character designs for Baymax are incredibly kid-friendly and clearly thought up with toys in mind. His true form, an inflatable marshmallow-like robot with a vinyl exterior that hides all the real tech, is designed as a non-threatening, huggable partner for his patients. After Hiro’s battle armor upgrade, Baymax is still pretty non-threatening with his no-kill code, although formidable in a fight. 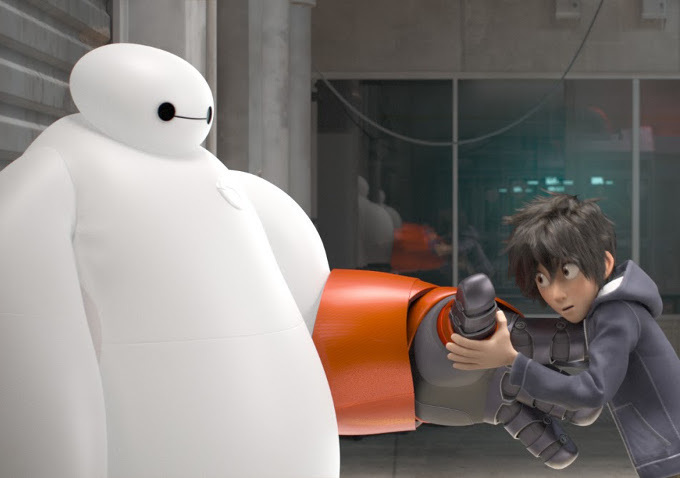 While Hiro is the, well, hero of the story, it’s Baymax that steals every scene he’s in. Despite the fact that his critical thinking is based on a computer program, he has a gentle personality and a mile-long list of quirks that allow him to fit right in with a group of geeky misfits acting as super heroes. I could have watched an entire movie of just Baymax navigating a room full of furniture. The film visits the rather tired trope of a young protagonist who suffers the loss of a loved one, but instead of nixing the character before the opening credits, we’re given time to get to know this person. Death is very real, tangible aspect of the story; instead of feeling like a plot device it acts as the foundation of why Baymax and Hiro’s relationship is so meaningful. It also creates an interesting opportunity to address mental health. Baymax asks his patients to rate their pain on a scale of one to ten, but doesn’t compute when Hiro explains that the pain he feels isn’t physical. So, the robotic nurse upgrades himself with a mental health database in order to tend to the boy’s overall wellbeing. Baymax refuses to let Hiro isolate himself from friends and family, and constantly asks if Hiro’s wacky orders will improve his state of mind before acting on them. This is a subtle but noteworthy attempt to address real-world issues in a kids’ movie. The film’s main mistep is in its attempt to humanize the masked villain. An additional storyline is concocted to explain the bad guy’s motivation, one that really could have used a little more development considering how crucial it is to the film’s final minutes. However, this plotline also ties in with the movie’s other major theme. Hiro invents something incredible, but innovation requires a sense of responsibility. An invention for good can be perverted by a person with bad intentions, and this is explored not only through the villain, but also during Hiro’s darkest moment. This story is truly fun and heartfelt and doesn’t shy away from real life problems. With such an endearing and heroic cast of characters, you’d be hard-pressed to find an audience member who didn’t feel a connection to this film. If you’re anything like me, expect to ball up in a fit of giggles every time Baymax attempts the classic fist-bump-blow-it-up with his friends or drunkenly stumbles around Hiro’s house on low battery. Keep your eyes peeled for a bombardment of Easter eggs, and make sure you stay for an after-credits treat. 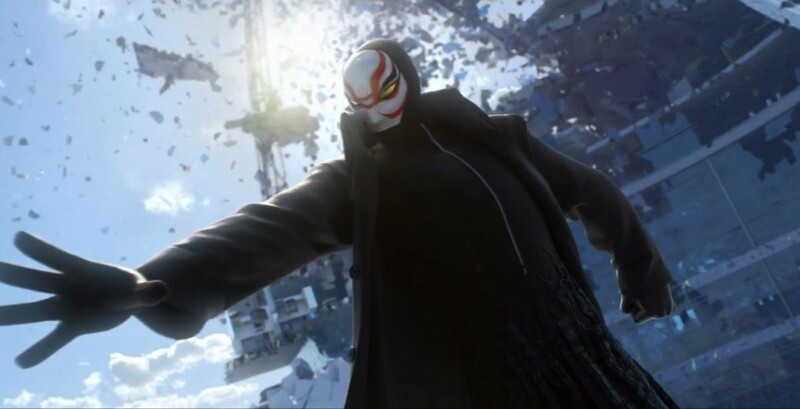 Big Hero 6 is in theaters now. Love the review! A friend suggested that this will be The Iron Giant for this generation.